So You Think You Can Mom? : Summer Fun at Disney California Adventure Park! 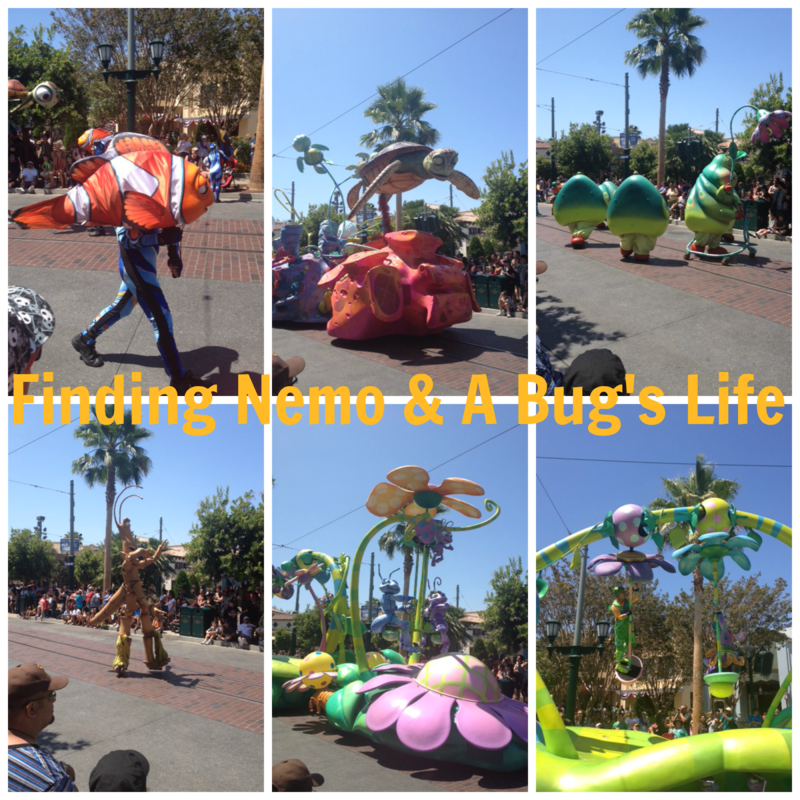 Summer Fun at Disney California Adventure Park! This Summer, Disney theme parks are offering a long list of must see shows and parades. 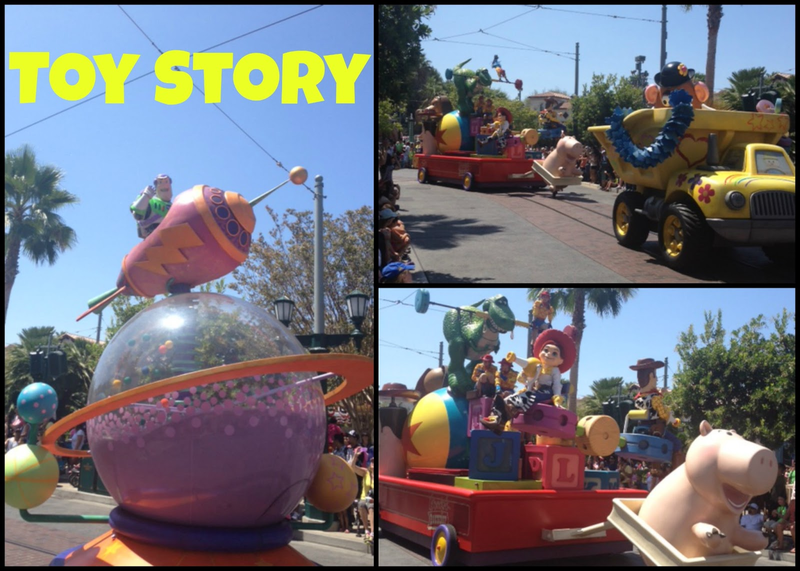 My favorite parade so far has got to be the Pixar Play Parade located in Disney California Adventure Park. 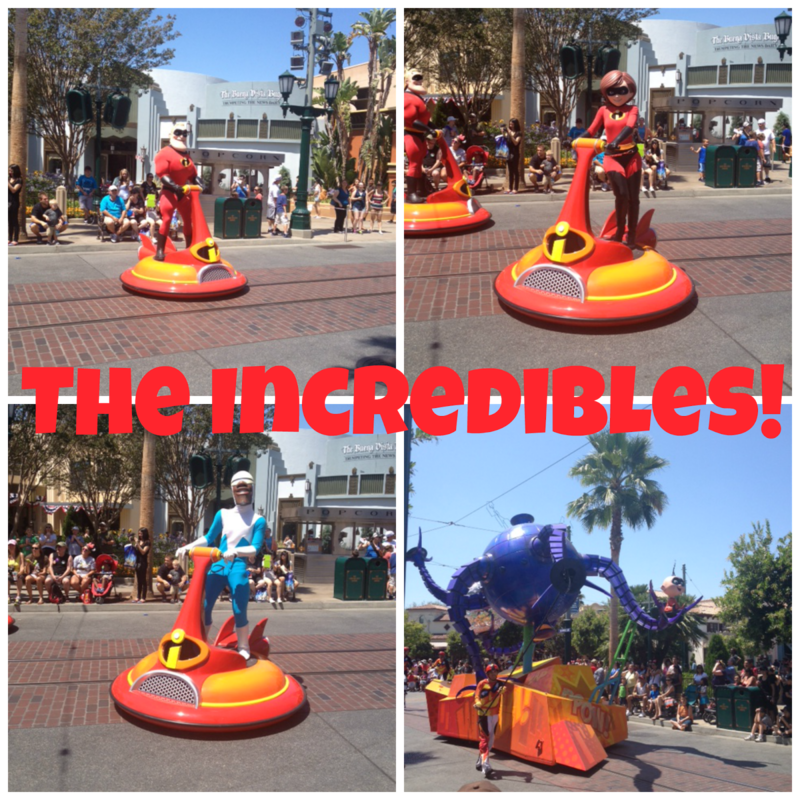 All of our favorite Pixar pals stop by twice daily to celebrate Summer vacation with their fans. The Pixar Play Parade has a performance corridor that runs from the Silly Symphony Swings down to the Twilight Zone Tower of Terror. The best viewing areas would have to be Hollywood Land, Pacific Wharf and Paradise Pier. 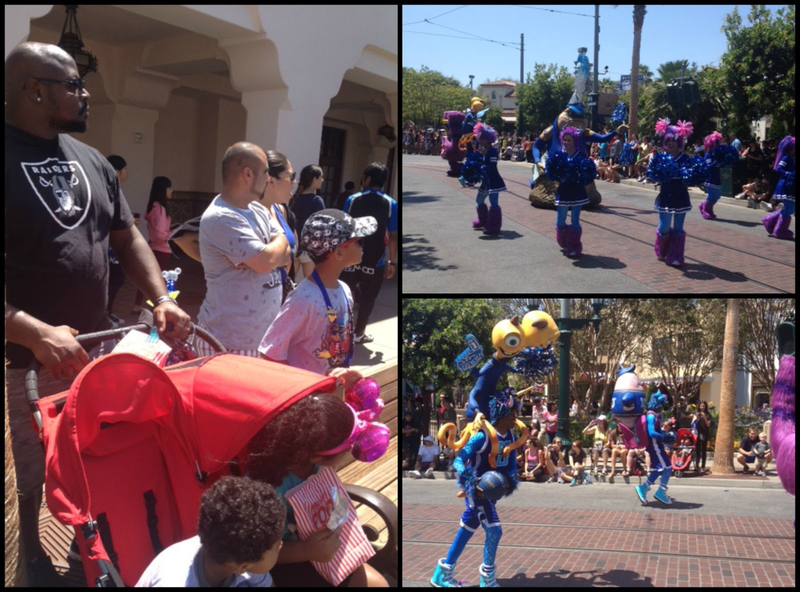 We found a great spot on Buena Vista Street and it was just in time to catch our friends from Monsters University partying down the route! There are five fun floats and dozens of festive characters singing and dancing their way down the parade route. I loved seeing The Incredibles and Frozone up close and they even stopped to say "Hi" to the kids in the crowd! Next up were our favorite friends from Finding Nemo and A Bug's Life! During the warm months of the Summer, the Toy Story float cools parade goers off with splashes of water. It was a great way to beat the heat last Saturday! 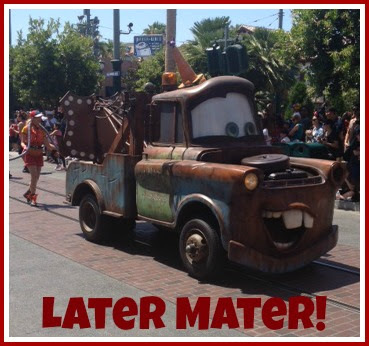 Last up was our favorite tow truck...Mater! My kids haven't seen a parade yet, I bet they would LOVE this one!! How fun, I can't wait to go again!